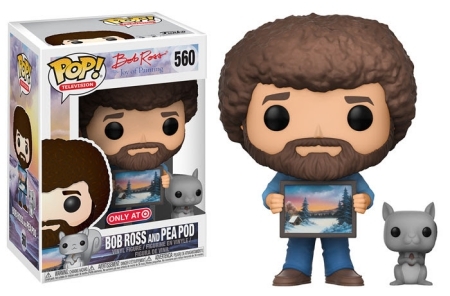 Funko Pop Bob Ross celebrates The Joy of Painting host with a handful of unmistakable figures. While every vinyl features Ross' signature look thanks to his permed afro, each adds a unique touch, too. 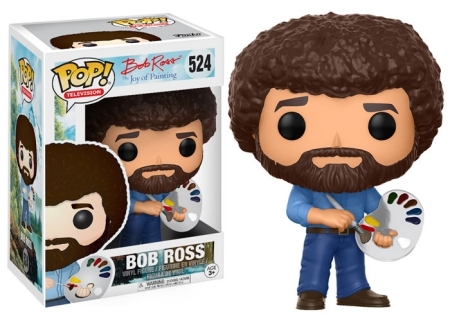 The original Funko Pop Bob Ross figure stands in blue jeans and a button-down shirt with a clear paint palette. 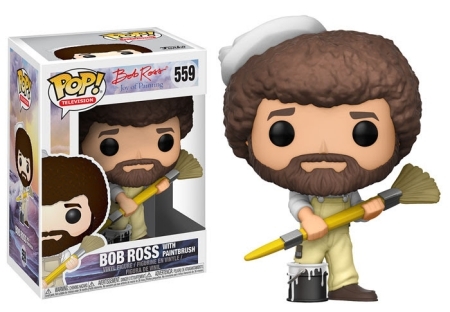 There is also a Bob Ross flocked (just his hair!) variant issued with Big G Creative's The Art of Chill game. Meanwhile, another has his foot in a paint bucket as Ross holds an oversized paintbrush. 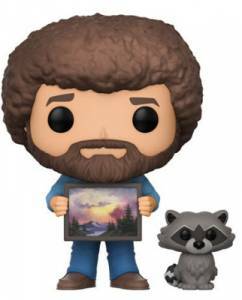 Order Funko Bob Ross Figures on Entertainment Earth. 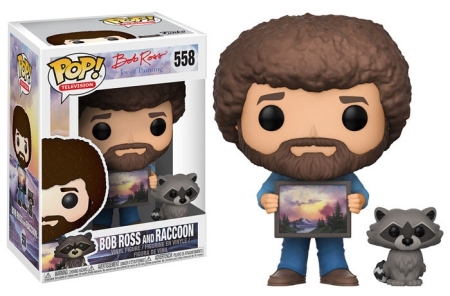 Known for his love of the wilderness and animals, other Funko Pop Bob Ross editions pair him with a raccoon, and a squirrel named PeaPod, which is issued through Target. 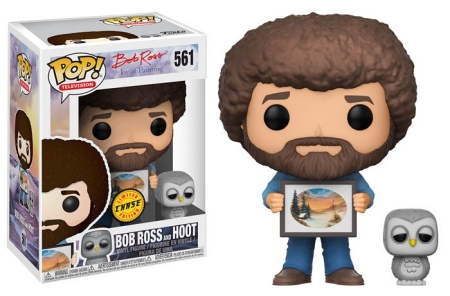 Additionally, Bob Ross and Hoot (a baby owl) is a limited chase that averages 1:6 boxes. Although Bob Ross served in the U.S. Air Force for 20 years before retiring as a Master Sergeant, he demeanor during the instructional PBS show broke any stereotype of hardened soldiers. The soft-spoken artist helped many viewers become better painters, or at least enjoy watching him create flawless paintings. 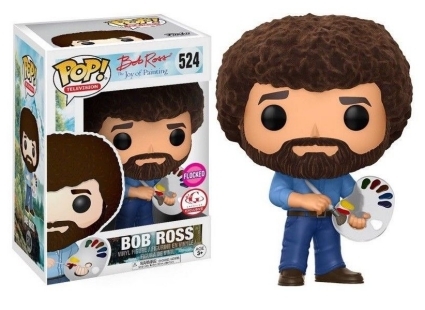 Hence, every Funko Pop Bob Ross figure is standing with either a painting tool or a painted canvas. The Joy of Painting - Bob Ross Pop! Vinyl Figure - FunKo Free Shipping! 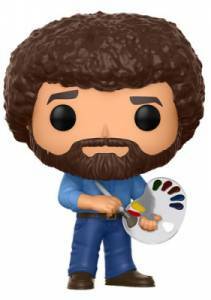 Bob Ross -Bob Ross with Paintbrush #559 Funko Pop!